Monitor must be reset. Please press the RESET button. whether your appliances are really charged and how long have your appliances been charged. Easily measure the power consumption and cost of your electrical appliances. Display volts, amps and wattage accurate to 3%. The Set Wattage display (Watts) is 0W~9999W, But the real Wattage display (Watts) is 0~1800W. 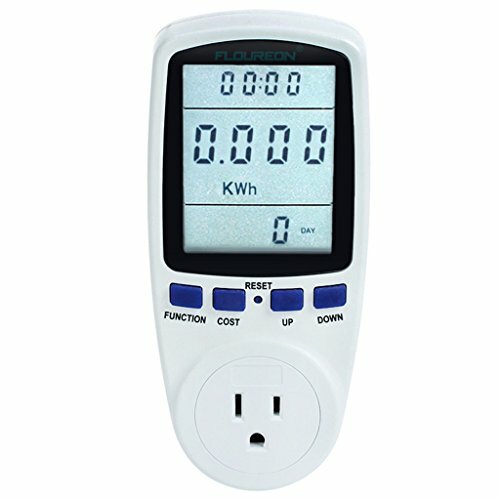 Warranty: Floureon TS-836A Electricity Usage Monitor has 12-month warranty and 100% friendly customer service. Easy to Monitor Your Electricity Bill: Electricity price setting by pressing COST, FUNCTION, UP and DOWN button (Electricity price range: 00.00COST/KWH - 99.99COST/KWH). Large & Clear LCD Display for Easy Reading: 1.77 x 2.76inch (4.5 x 7cm). Built-in Battery Backup: 3.6V rechargeable battery allows meter to be moved and still visible without losing readings. 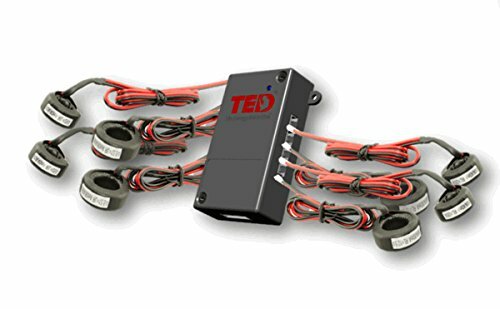 TED Spyder Mix will accommodate 4 of your larger circuits and 4 of the smaller circuits; Must have a TED Pro Home or TED Pro Commercial to use a Spyder. Will not work with TED 5000 models. Model 193-36-BK is 36" AmpFlex and MiniFlex current probe. For use with Models 8220, 3945 and 3945-B. Also used with single-phase power quality analyzer PowerPad junior model 8230. The 30mW (20-30km)visual fault locator is used for the measurement in single-mode or multi-mode fibers. 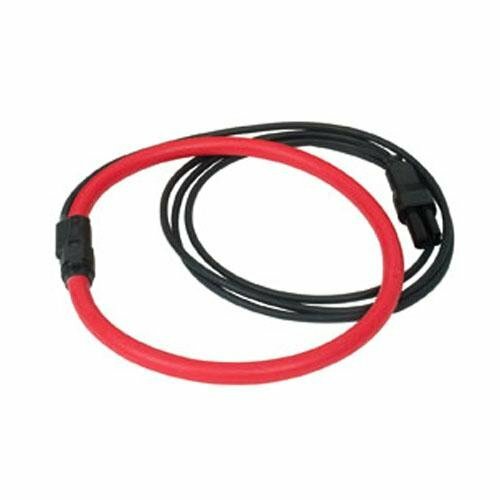 It features a rugged design, a universal connector and an accurate measurement. 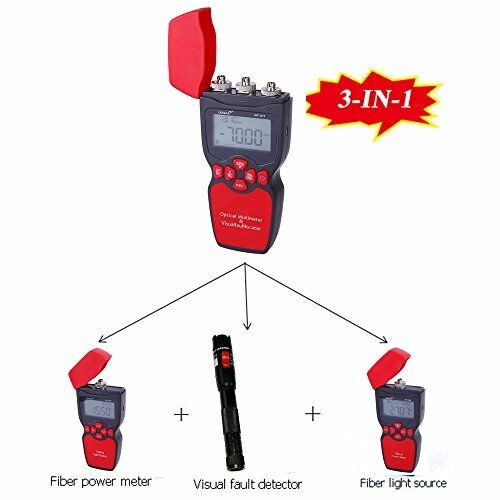 Visual fault locator is easy to check fiber faults and field test ,portable and rugged,Dust-proof design keep fiber connectors clean. 1) When power on, the meter will display AC voltage (V), AC current (A) and active power (W) with the correlative LEDs lighting up. 2) When press the SAM CK button (right side of meter), the meter will change to display the power factor (cos ), electric energy of cumulative time (h), and electric energy (kwh) with the correlative LEDs lighting up. 3) When press the SAM CK button again, the meter will display the AC voltage, AC current and active power. 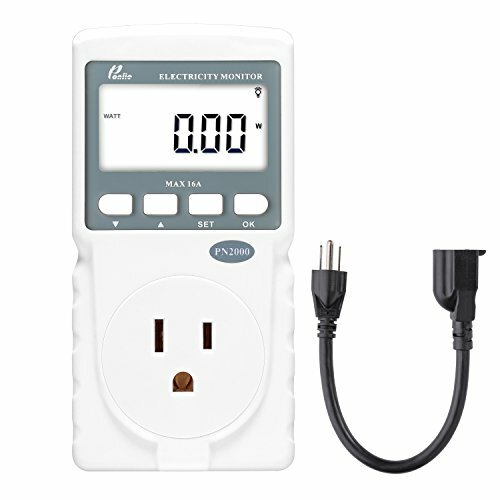 4) When power off, the meter can save the value of electric energy and electric energy of cumulative time, and go on cumulate data when the meter is powered on again. 5)When the meter is displaying electric energy, you can press SAM CK button to reset the electric energy and electric energy of cumulative time to zero. Remind: The meter can only use to measure 50/60 HZ AC city electricity. 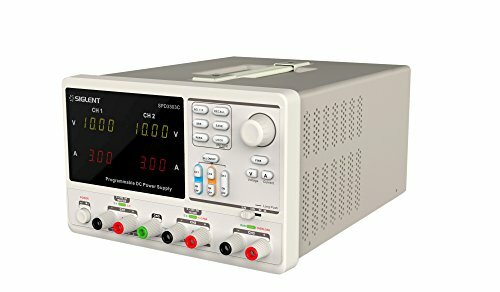 It will be destroyed when used to measure square waves, output of inverter, or non-standard sine waves. If you measure power from a DC-AC inverter please make sure it's PURE SINE WAVE with 50/60 HZ. Otherwise the meter will be broken! 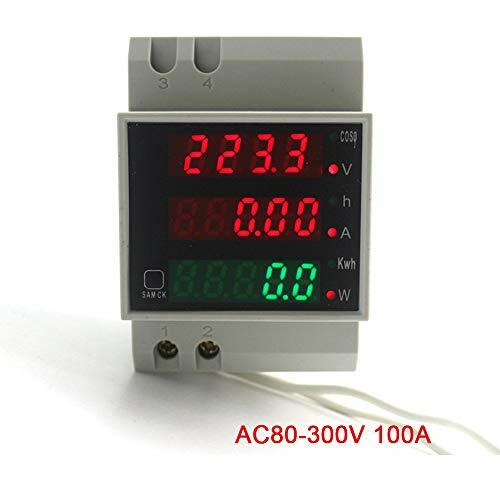 Measuring voltage range is AC80.0-300.0V; measuring current range is AC0-100A. Reading display by 0.31-inch led digital tube, with automatically statistic restored function. Can synchronously read measured AC volt, amp, power factor, power, energy and accumulation time. Built-in transformer; can meet the load maximum current 100A, easy installation. This is the highest output radio available from Galaxy, pushing 200 watts of modulation with 8 IRF520 MOSFET final transistors, 50 watts more than the DX95T2!. As an added bonus the DX98VHP has all blue LED frequency and channel display as well as blue meter lamps in the extra large meter. Due to the additional outuput power there are now two internal quiet temperature controlled fans to provide arflow over the enlarged heatsink. Also included is the Galaxy MOD lamp and Starlite faceplate making the DX98VHP ideal for both night and day use. Big power, loads of features, topped off with the Galaxy name and support. The DX98VHP, meet the big dog in town. Variable Output Power: AM carrier adjustable from 10 to 50 watts. Variable RF Gain Control: used to increase or decrease received signals. Variable Dimmer Control: Fully adjustable control for faceplate, channel, frequency, and meter displays. Variable Talkback Control: Adjustable talkback level, can be turned off. Accessory Panel: New! All internal hardware now included. Galaxy Style Echo. Built-in Voice Changer. On/Off Roger Beep. Automatic SWR Curcuit. Same Main PCB as DX95T2. AM/USB/LSB Modes. Starlite Faceplate. Side Microphone Jack. 5-Digit Blue LED Frequency Counter. Microphone. 2' Power Cord. Mounting Bracket. Owners Manual. Microphone Hanger Clip. Length: 3 1/2". Width: 8". Height: 11". 3 year warranty from Galaxy. If you have any questions about the product , please feel free to contact with us, we'll provide our best service to you and do our best to resolve the problem you met. 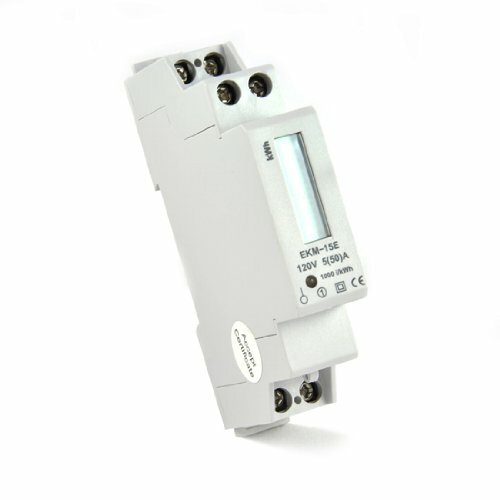 It is the Combination of the optical power meter and Visual Fault locaotr. Energy costs are traditionally one of the biggest operational costs in any organization, yet many businesses lack the tools to manage their energy efficiently. 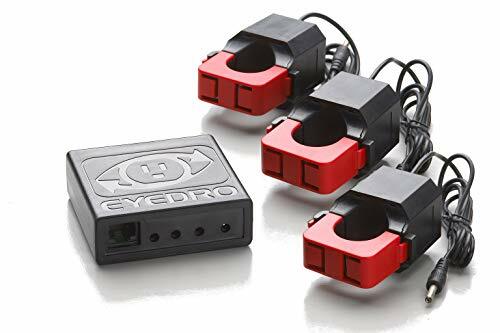 Eyedro Business Electricity Monitors provide an easy and affordable way to monitor and track electricity use at work - empowering businesses to take control of their energy use and costs. Easy to install and learn, Eyedro provides timely and actionable insights, allowing business owners and energy managers to see electricity usage and costs in real-time to stay on top of expenses. This business electricity monitoring tool is available in a wired model and wireless version up to a range of 1,000 feet, and all monitors are designed to use the free MyEyedro.com electricity monitoring cloud service right out of the box. To get started, install the sensors in the electrical panel (up to 200A/600V). For the wired version, connect the module to a nearby internet connection via the 10-foot Ethernet cable provided. If using the wireless model, the included 3-foot Ethernet cable connects the gateway module to an open internet port. Once connected, it will instantly start logging your electricity data to MyEyedro with no additional costs. The monitor and cloud service work hand in hand to measure, analyze and securely store your electricity usage and cost information, so it's ready when and where you need it most. Easy to use and accessible from a standard web browser, MyEyedro presents electricity data in ways that are engaging, informative and easy to understand, allowing you to see real-time electricity usage and gain access to many helpful features. This service provides responsive real-time graphs, hourly/daily/weekly/monthly consumption and cost estimates, high-resolution historical data, and downloadable data for further analysis so you can identify waste and potentially save money. REAL-TIME MONITORING. Energy costs are one of the biggest operational costs in any organization. With an Eyedro Business Electricity monitor, you can monitor and track electricity use at work in real-time from any standard web browser. All monitors are designed to use the free MyEyedro.com cloud service to start logging your electricity data with no additional costs. TRACK ENERGY USAGE. Eyedro and MyEyedro work together to measure, analyze and store your electricity usage and cost information. MyEyedro presents your electricity data and real-time electricity usage in ways that are engaging, informative and easy to understand, allowing business owners and energy managers to monitor and track electricity across a range of applications. HIGH-RESOLUTION DATA. Once connected, Eyedro maintains full 24/7 usage history. Supporting fixed, tiered and time-of-use rate structures, MyEyedro features responsive real-time graphs, furnishing you with hourly, daily, weekly and monthly consumption and costs, as well as estimates of what your current electrical bill will cost. SPECIAL FEATURES. In addition to seeing electricity usage and costs, and providing bill comparisons and estimates, Eyedro captures appliance start-up spikes and will notify you of a power or network failure. It's designed and developed using the latest web technologies and is optimized for the smaller screen of mobile devices so you can view your electrical data wherever you are. EASY NON-INVASIVE INSTALLATION. To get started, install the sensors in the electrical panel (up to 200A/300V). For the wired version, connect the module to a nearby internet connection via the 10-foot Ethernet cable provided. If using the wireless model, connect the included 3-foot Ethernet cable and power adapter to the gateway module. Brand: Eyedro | Manufacturer: Eyedro Green Solutions Inc. The EKM-15E is a very compact, but accurate little meter that is ideal for metering individual circuits or groups of circuits. Multiple wires can be passed through the CT and current passing through them is totaled. Convenient DIN-rail mounts. Can be sealed for tamper protection with meter seals. Installation: Installation should be performed by a qualified electrician. Turn off power. Slip the CT over the hot wire. Connect the CT wires to the meter ports 1 and 3 (direction is unimportant). Connect voltage reference wire from hot lead to port 4 on the meter. Connect neutral reference wire to port 6 on the meter. Port 20 and 21 are optional, they are the pulse output connection to the meter. 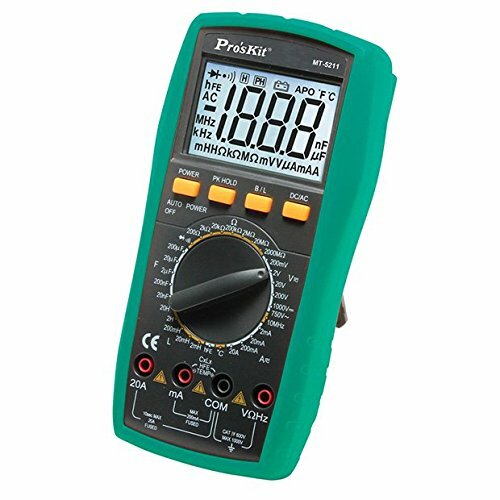 ACCURATE - Compact but accurate meter is ideal for metering individual circuits or groups of circuits. ADAPTABLE - Multiple wires can be passed through the CT and current passing through them is totaled. DURABLE - Can be sealed for tamper protection with meter seals. EASY TO INSTALL - External CT makes installation much easier. DIN-rail mounts included as well. PULSE OUTPUT - Connect a pulse counter up to 200 feet away from the meter to be able to remotley know your kWh consumption. Brand: EKM Metering Inc. | Manufacturer: EKM Metering Inc. The siglent spd330c power supply contains three independent power supplies in one unit. As a true linear supply, output noise and regulation are excellent. With its intelligent temperature-controlled fan, noise is reduced. Voltage resolution is 10 mV/10 MA. The SPD3303C power supply comes with easy power PC software, supports SCPI commands and like all siglent instruments, has an available LabVIEW driver. 14.Wire Sequence and Locating Cable Error: Check errors such as open circuit, short circuit, and reverse connection. Measure and monitor Radio Frequency(RF) electromagnetic field strength with 38mV ~ 11V/M measuring range and 50MHz ~ 3.5GHz frequency range. 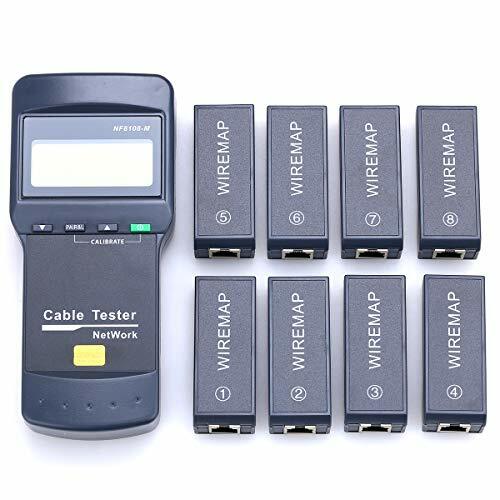 Ideal tool in measuring Radio Frequency from transmitters, Mobile phone base station, Spy camera, wireless bug finder, Wireless communication, Wireless LAN (Wi-Fi) detection, installation, Cellular /Cordless phone radiation, Microwave oven leakage detection and even personal EMF safety. APPLICATION: measure Radio Frequency from transmitters, Mobile phone base station, Spy camera, wireless bug finder, Wireless communication, Wireless LAN (Wi-Fi) detection, installation, Cellular /Cordless phone radiation, Microwave oven leakage detection and even personal EMF safety. 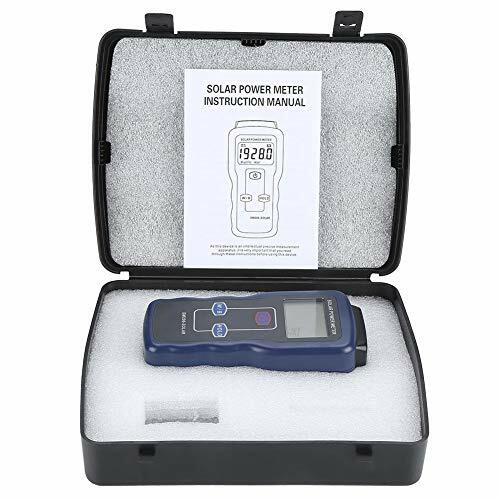 Solar Power Meter (Pyranometer) is a device design to measure the solar radiation falling on a horizontal surface in watts per square meter (W/m2) known as insolation. Measurement range of this meter is 2000 W/m2, 634BTU / (ft2xh). Ideal in the field of meteorology, climatology, climate change research, building engineering physics, solar panel and other home, agricultural / environmental monitoring. 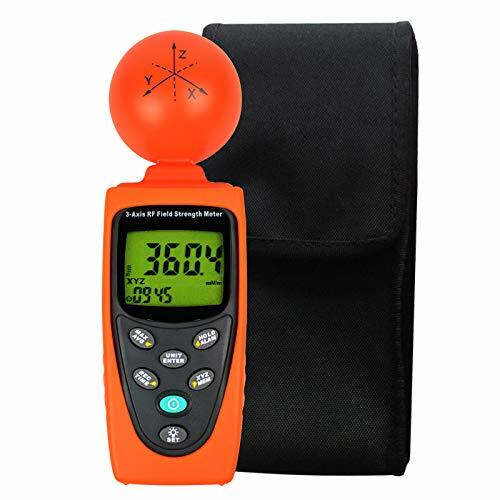 Pro'sKit MT-5211 Digital LCR Mustimeter, 3-1/2"
Fully Featured Mustimeters, Versatile, safe and Accurate, Large LCD with back-light, Extra functions, LCR Meter. This meter is a precision instrument measuring the intensity of sunlight. There are two units that can be selected: W/m and Btu. It supports maximum value hold function and data hold function. Measure directly without adjustment, steadily measure for a long period. Widely used for solar radiation measurement, solar energy research, meteorology, agriculture, physical and optical experiments. It can also be used to measure the light transmission intensity of glass to verify the performance of the glass, for example, car window performance test. 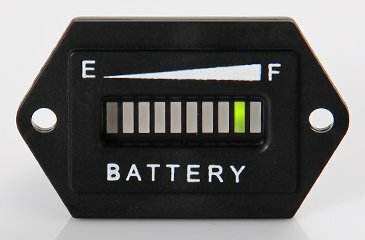 This is the new Latnex BI001 Battery Indicator, a powerful tool for ensuring you are aware of the battery life of DC-powered equipment. The indicator will work with most lead or acid batteries. 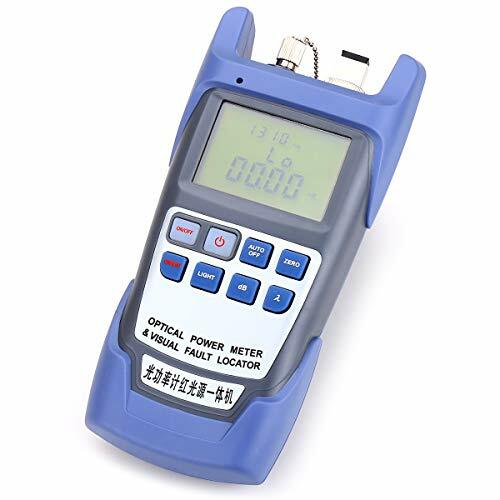 The 3-in-1 optical multimeter NF-911 is a compact and an easy-to-use testing instrument for optical fiber networks, which can be used for absolute optical power measurements as well as for optical fiber winding or breakage. It has features of ingenious appearance, wide range of power measurement, high accuracy with high performance-to-price ratio. Battery life: approx. 100 hr. 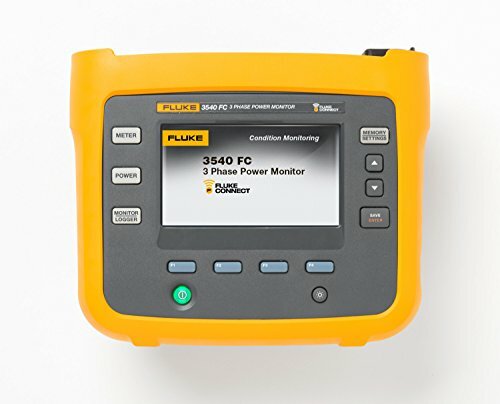 The 3540 FC Three-Phase Power Monitor and Condition Monitoring Kit is a combination of the 3540 FC Three-Phase Power Monitor and Fluke Connect Condition Monitoring software. The 3540 FC Three-Phase Power Monitor is a compact device used to monitor key electrical parameters for three-phase machinery and seamlessly streams data to the Fluke Connect Cloud. Once in the cloud, the software allows maintenance teams to remotely view data anytime, anywhere. This product is only to be used by the company who made the purchase. If you would like to use this product in another country, please buy from your local Amazon website.